Do you need towing Lisle, Illinois? 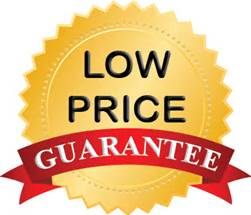 Get prompt, friendly, low-cost towing in Lisle. Towing Lisle, IL, plus beyond since 1995. We are Lisle’s most reliable towing company. 24 hour towing, lockout, jump-start, plus roadside assistance services A-Z. Day or night, rain or shine, sleet or snow, we’re here for you. 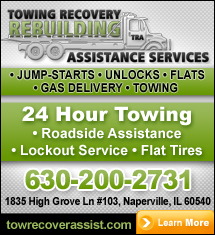 Need towing in, near, around Lisle, IL? Count on our team 24-7 to tow you where you need to be towed. Call now! Need towing Lisle, IL? When you’re stranded, broke-down, in a predicament and need a tow service, make sure Towing Recovery Rebuilding Assistance Services is your first call, hence we are your number one choice. Looking for quality towing, reputable towing, 24/7 towing, with best prices in town included? Look no further Call Tow Recover Assist now! Check out what our customers think about our Lisle towing service! Our specialized towing equipment plus highly trained staff allows us to provide a multitude of services, hence our quote of towing plus roadside assistance service from a through z. No job is too big or small for our tow company to handle. We lead our local area in our response times for incident management plus we provide support for several local law enforcement agencies. Besides our state-of-the-art equipment, our staff works hard to make our service truly top notch. We treat every customer with integrity plus respect and offer our services 24/7, 365 days a year. If you need Lisle towing services, you’ve found the right place. What Can You Count On When Using Our Lisle Towing Service? • Low-cost, fast response, & as always damage-free Lisle towing service. • Bonded & insured for up to $2,000,000.00 with over 22 years of experience. • Low cost roadside assistance service, lockout, flat tire, jump start, gas, winching. • Affiliated with automotive mechanic plus auto collision repair service centers.